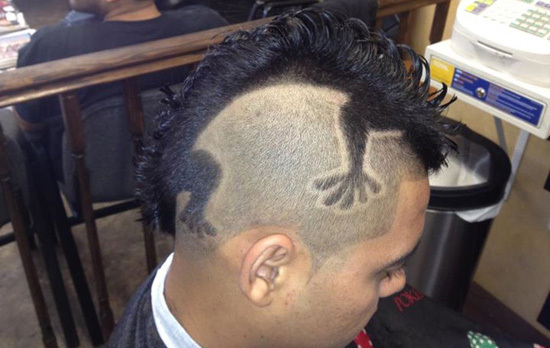 Barber Miguel Rosas is used to getting attention for his hair styling. The Moline, Ill. barber has won awards for his work, according to WQAD-TV. And he's built a good business, as his New Style Barber Shop went from its opening in 2007 to supporting eight barbers today. 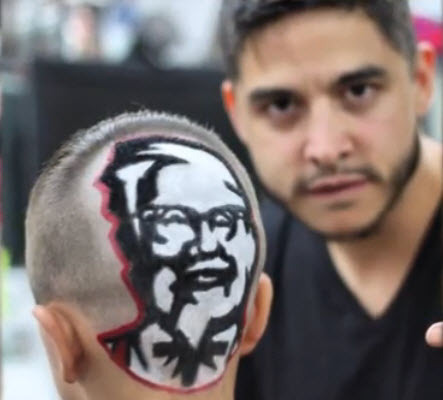 Since he started cutting hair when he was 13 years old, Rosas has received many tips, but none like this: free meals from KFC for life, WQAD reported. And it all came from a recent cut he did for a customer. 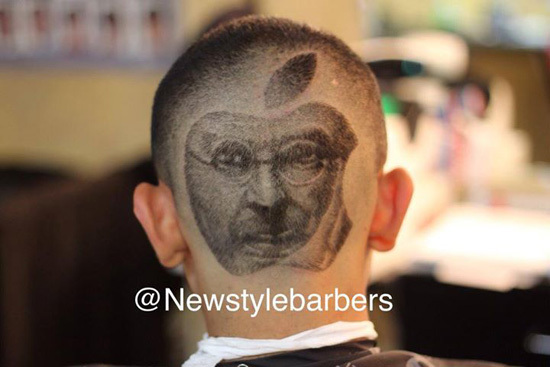 Rosas is good with a razor, scissors, and a comb, as you can see from the Steve Jobs portrait inside the Apple logo and the 3D creature. He creates art in his patrons' hair and has won 19 trophies - 12 first place - for his work. But what caught the eye of KFC was that recent portrait of the company's iconic Colonel Sanders character. KFC was originally started as Kentucky Fried Chicken by a real man called Harland Sanders, who was given the honorary title of Kentucky Colonel in 1935 for his culinary work, according to the site ColonelSanders.com. With his white hair and goatee and wearing his trademark white suit, he became the image of the eventual franchise chain. It was the face of KFC that Rosas put onto the head of a young man. Later that same day, he and his client went to a local branch. "All the employees came up to us and started taking pictures of the design," Rosas told WQAD. The district manager heard, saw the design, and said that the company might want to get the image onto its website and possibly in a commercial. And then the manager handed him a stack of free meal coupons. "He gave me a big old stack of [coupons for] free KFC meals and he's, like, 'As soon as you run out, call me and I'll send you more.'" Cutting and drawing designs onto people's heads has gained in popularity, as people wear the famous and infamous as part of a hair style. Carpenter-turned-barber Rob Ferrel is another example who has gained attention for his portraits, particularly of entertainment and sports figures. He said that creating a work of art on someone's head is like "trying to draw on a baseball."